Stephen: I have no spin to offer nor do I have any interest in the politics of these photos if there is that element. I just saw those articles online and shared them here. Maybe it's the nostalgic person in me who thinks back to when a Beach Boys concert in DC was a major event, and not just thousands but hundreds of thousands of people would come to hear them perform. An outdoor Beach Boys concert in DC, New York, Boston, etc was an event. We'll never have that again. Instead we get Mike and his band playing songs that aren't even Beach Boys songs, that aren't even Christmas songs, ostensibly to plug a Mike Love solo album instead of giving the fans actual, real Beach Boys music to enjoy, and is now sharing stages with Kathie Lee and playing to as many empty seats as seats with people in them. I guess I'm just sad to see where Mike has taken the name "The Beach Boys" to where they could have packed the set with their classic Christmas songs currently getting spun on those 24/7 FM Christmas format radio stations, and instead Mike Love plays something from his new solo record. It's the Beach Boys people are hearing and digging as they listen to all the Christmas music being played, and Mike and his solo release is not the Beach Boys despite the billing, which may account in a small way for the lack of fans in that crowd. COMMENT to guitarfool2002: Point taken and well stated. What's in a name? Mike is the legal holder of that name and, I agree, you would think his song selection would reflect some seasonal song from the long history that name brings with it. However, I don't know how many other songs were performed, or if the other songs were Beach Boy classic Christmas fare. We shall find out December 4th. Brian once told me that for him "The Beach Boys" died with his brothers. The songs live on, but the group is no more. Hard to argue with that. Brian has moved his musical career along that line of thinking. Brian does not pretend to be "The Beach Boys," but more realistically performs as himself performing the old hits. In contrast Mike views his performances as an extension of The Beach Boys, an extension unbroken in legacy, legitimacy, and legality. Mike views himself and his crew as the perpetual Beach Boys -- a continuation of the original -- the brothers' deaths marking his act as after the intermission. Mike sees himself as a persistence of Beach Boy history, with each performance being in a line of succession, whereas Brian sees himself departed from the history while re-visiting the songs in performance. The sum of the parts is greater than the whole -- in this case, the separation of the group into two (and now three) independent performing acts has generated for each of them, more income than if the group had stayed together. Many of us, including myself, attend both Beach Boy billed concerts and Brian Wilson billed events. The songs are the same ice cream, but the flavors are different, which only shows how endearing each tune has become. WOW.. Well said especially the 2nd paragraph..Mike see"s his band as an extension unbroken in legacy legitimacy and legality .. WOW.. I like Brian"s attitude better.. I go see both band"s all the time.. but i never consider Mike"s band as the Beach Boys.. c50 was the last breath of the band IMHO..
Stephen, that is the best description of Brian and Mike's views in recent years that I have ever read. Perfectly stated. While I understand Brian saying The BBs died with his brothers, I do consider Mike's band The Beach Boys. Because in my mind, The Beach Boys always had two entities- studio and tour. Because The Beach Boys most important member, BW, rarely toured in the grand scheme of the 56 years of The Beach Boys. Al left and came back, Carl left and came back, Bruce left and came back, Dave left and came back, Blondie & Ricky came and went. I see the studio Beach Boys as Brian, Mike, Carl, Dennis, Bruce, Al, David, Blondie, and Ricky. (In terms of C50, I was happy to consider the studio BBs to be Brian, Al, Bruce, Mike & Dave). 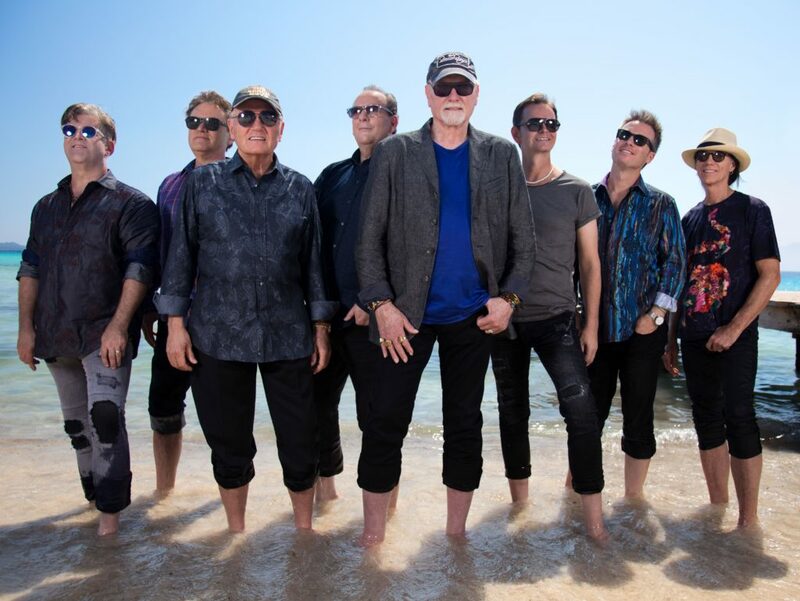 Anyway, the point I'm trying to make is to have two Beach Boys (Mike and Bruce), as well as a kickass backing band, keeping the music alive- that qualifies as The Beach Boys to me. The Beach Boys touring band has always been evolving and changing. And to be honest, I'd rather see a Beach Boys 2017 show, than a late 70's show with stoned, drunk, and paranoid Wilsons. Not the Beach Boys' song - Mike's song. Thanks, Stephen...I used to post fairly regularly before my husband became ill, and now that he's doing better, I'm dealing with physical issues. When I did share my personal experiences a few years ago, I tended to be resented by a number of posters and attacked by a few. Most, or all of them are gone elsewhere and ironically, then my time became limited to post. I also tend to fiercely defend people I have long loved and admired - many of them I still consider some of my closest friends who are also close to Brian and Melinda - so I guess that explains the intensity of some of the attacks. In BBs "politics," I was the enemy to some. Inexplicably - they love the music but attack Brian? I don't get it. There are a lot of hilarious stories in my memories, and some very sweet ones, as well. Maybe I'll share a few when they come to mind again and see what happens. I do remember that we all loved you, though. They also did "Little Saint Nick" at least at a rehearsal. That song has three things going for it which 'Unleash The Love' does not. First, it's an actual Beach Boys song. Second, it's a Christmas song. Third, it's a good song. But I guess as long as Mike can now use "The Beach Boys" name to freely perform and plug his own releases and projects, none of those three points matter, with the third point admittedly being an opinion while the first two are fact. Ok, with that last sentence, you've qualified yourself as a myKe and Br00th fanboy for sure and that's fine, but how many REAL BB shows did you see in the mid to late 70's, and how many of those shows were Carl or Dennis f***ed up? Of course, I'd rather see the Wilsons a bit wobbly over a fake tribute juke box myKe luHv and his posse show. I went to those shows and the Wilson brothers had more charisma just BEING THERE than M&B will ever hope to have. Damn, I did not expect such hate because of my comment. Ok, you all are right, I haven't seen late 70's BBs show, and my Wilson comment was a bit out of line. My main point was saying that I'm content with Mike's band being the touring version of The Beach Boys. I am not thrilled, however, that Mike is plugging his solo stuff at an event place. excuse me the word hate doesnt apply to my post towards you.. i was pointing out i thought you were wrong and you were entitled to your opinion.. hate didnt enter my thoughts.. and i didnt make fun of you..
Ok, Mr. Wilson, I overreacted. Had a rough day. I take back what I said. Yes I second this! Keep posting Debbie. Always enjoy your opinions. Stephen, I realize it's only opinion but I disagree with the opinion of Mike's voice. I've listened to dozens of concert performances from Mike over the past few years, and more often than not his voice on lead vocals is one of the weaker parts in the whole presentation. If it's not a broadcast performance where they're playing to backing tracks, Mike is often off-key and sounds as if he's running out of breath on phrases he's sung hundreds of times. To my ears, the incessant touring has taken a toll on his voice and it's just not that good compared to what's around it. Have you heard Mike's new album "Unleash The Love", particularly "disc 2" which is full of Beach Boys remakes? When it came out, I wasn't alone in commenting that Mike's leads sounded like he was running out of breath on even the most well-known Beach Boys hits he remade for this, and his voice turns more into a whisper as it sounds like he's simply not hitting the notes or when he does, he runs out of air. And the point must be raised too about the amount of Autotune (or other) digital pitch correction applied to Mike's leads on both discs of the new release. It's obnoxious. The effect can obviously be used as purely an effect, a sonic gimmick, but if Mike is singing those hits he sings live all year round and has sung for over 50 years in some cases, he should be able to present them without so much effort being exerted to correct his pitch digitally. If he has a good voice for those songs, why aren't we hearing it especially on "disc 2"? And why aren't more of the hundreds of YouTube clips from the last few years of Mike's touring and live shows better vocally than they really are? Mike's vocals on any number of those are just not that good overall, on the basic points like pitch and phrasing/breath and tone. I'd post some examples of live performances where Mike's voice and vocal shortcomings including bad pitch and odd phrasing would be on display, but I may be accused of cherrypicking the worst I could find to make a point, and that's not why I'm saying this. But a simple YouTube search of Mike singing a few BB's songs at his live shows would give examples of something less than a singer nailing a lead vocal. The shortcomings come blasting through the mix, again unless it was one of those broadcasts where they're using pre-recorded tracks. My Comments are from hearing Mike live about a year or so ago. I will grant you that Mike's voice is not what it was 40 years ago. But I would say that IMO the energy levels are higher at the M&B version. Having worked with Michel as a producer, I doubt you are hearing anything that he does not. In other words, his use of pitch correction may be his saving grace ... from the ravages of continuous singing and getting older. Since the crowds at M&B shows continue to be well attended, if not sold-out, can you really blame him for using this technical crutch if people still buy tickets. Do you know that each "Meet and Great" brings in each night an addition $20,000 (typical) to them both -- dirctly, not thru a distributor. The frustrating aspect of Mike's voice is that I think he would sound better if he didn't over-tour so much. If he toured every other year, or did 50 or 75 dates per year instead of 150-175, his voice wouldn't be so shredded. It's probably a small miracle his voice is as good as it is given he's going on 77 years years old and does 150+ shows per year, every year. But he could sound better if didn't insist on the cash rolling in all year. The C50 tour indeed was a "lighter" schedule compared to what Mike typically does. And I think his voice bounced back noticeably for that tour. He had at least approx. 3-4 months off from the road at the beginning of 2012 (barring a couple of private/corporate shows), and the five months of the actual tour, especially the later international dates, were a lighter schedule than usual. It's all subjective, but I will say a concert in 2015 at The Mann in Philly with Brian Wilson was as high-energy musically as I've seen, and especially with Al and Matt Jardine on stage with the band, a song like "I Get Around" was simply amazing, and that performance I saw that night was better in less than 3 minutes than the hours of Mike's concerts I've watched in the past 3 years. It's like any performers and their performances, there are nights which are much better or much worse than others, obviously. But I will say, again just my ears and my opinion, that playing all these shows for the $$$ has taken a toll on Mike's voice and in some cases it brings the performance of the band down a few pegs overall because it's just not on the same level musically in those moments. And if Mike were not constantly, if not in every interview, talking about how eschewing alcohol, drugs, and smoking has allowed him to be "still tourin'" as much as he does, it may be a little easier to measure up those comments with the actual results of his performances if he was consistently delivering quality leads instead of what seems to be the case at his shows, and even on his new record. Powered by SMF 1.1.21 | SMF © 2015, Simple Machines Page created in 1.23 seconds with 22 queries.